Muslim Community Network is pleased to learn of the landmark settlement of lawsuits Raza v. City of New York and Handschu v. Special Services Division announced earlier today. As part of the settlement the NYPD agreed to reforms that would provide oversight of its counterterrorism and surveillance practices and institute a Civilian Representative who will serve as an independent monitor of it intelligence-gathering activities. 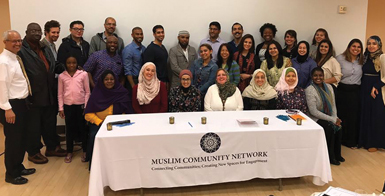 Muslim Community Network served as an advisor on the Strategic Planning Table to the legal team and participated in additional advocacy and coordinating activities to protest the unconstitutional surveillance and information gathering of Muslim business owners, community centers, and private individuals.